Student Insurance . . . plus SHAC is available, too. 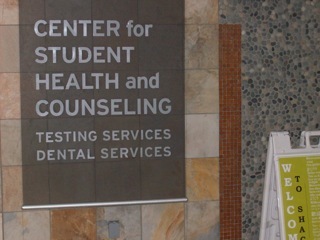 As I graduate, besides memories and friends, I am leaving behind the awesome Portland State student health insurance. I’ve written about this before, now I’m experiencing the difference. Since I don’t know what job is coming down the pike or what kind of health insurance it might carry, I’ve applied for individual insurance through Cover Oregon, the state exchange that sells private health plans (with federal subsidies to help pay the premiums) under the Affordable Care Act, or “ObamaCare.” The state exchange will alternatively sign you up automatically for the state’s Medicaid program (the Oregon Health Plan) if you qualify. In the real world, I will have to think more about the deductible. A deductible is an amount you pay each year (usually $250 – $1000 or higher) before any benefits are paid by your health insurer. At PSU, the deductible was $0.00. My present doctors might not be covered by a new insurance company. At PSU, the Aetna provider network was vast. I will have to worry more about whether alternative care is covered. At PSU, naturopathic doctors are treated the same as primary care doctors, and chiropractors are covered up to twelve visits per year. Weirdly enough, when I heard from Cover Oregon recently, they put me in the Oregon Health Plan, even though I reported enough income to disqualify me from that program. Now I will have to figure out the Medicaid ”world,” which works much differently than the private insurers’ system, or else contest my placement in that program with Cover Oregon. Students, the PSU plan won’t throw you such curve balls. You have an awesome, generous health plan, and you should take advantage of it before you graduate. As I’ve said before, you don’t know what you’ve got, until you lose it.